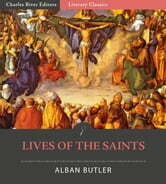 Alban Butler (17101773) was an English Roman Catholic priest who wrote about religious leaders in the Catholic Church. His work culminated with The Lives of the Saints, commonly referred to as "Butler's Lives, which took him 30 years of studying to accomplish. It is considered by many to be the most comprehensive collection of biographies on church leaders over the centuries, an amazing labor of devotion and love that is crucial to understanding Christianity. Paintings of the saints by artists such as El Greco, Andrea Sacchi, Jacopino del Conte, Lorenzo Lotto, Jose de Ribera and more are included. 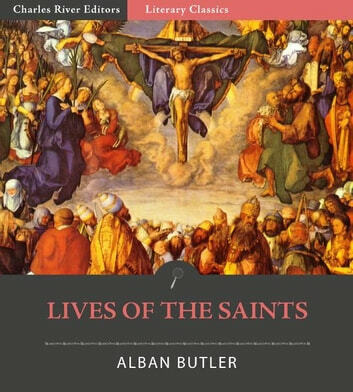 Modern editions of Butlers Lives, including this one, are broken down by the month that each saints feast day falls within. This is an abridged version. A short biography of a saint for every day of the year with a short reflection for spiritual edification. The illustrations help enliven the text. Enough detail to be interesting while brief enough to read aloud.